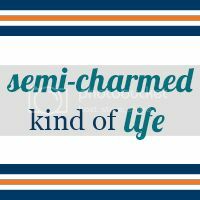 Semi-Charmed Kind of Life: The best type of souvenir. The best type of souvenir. 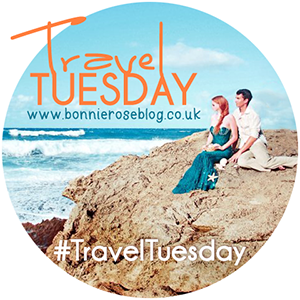 Welcome to Travel Tuesday, a weekly opportunity to share your travel-related blog posts! Last week, I asked about your favorite type of souvenirs when traveling. Anyone want to guess mine? That's right: postcards! 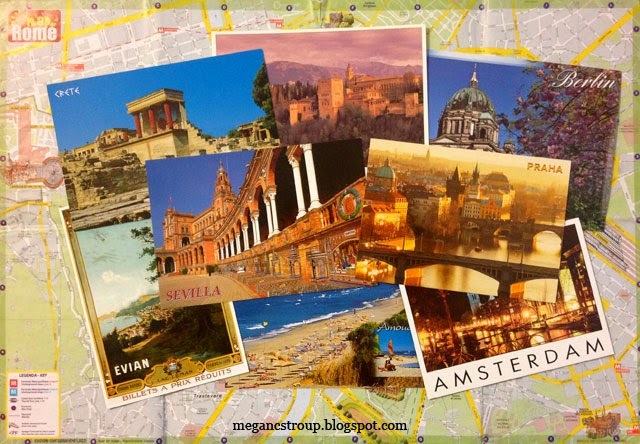 I have always loved postcards. I still have a postcard of a covered bridge that I bought when I lived in Pennsylvania, so I couldn't have been older than 7. 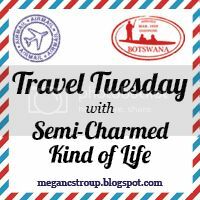 My mom always sent me postcards when she traveled for work when I was in high school, and during my time as a traveling consultant, I collected postcards from each school and city I visited. (Although I didn't get a postcard from CSU San Bernardino—if you live nearby and want to mail me one, I would love you forever!) Now I have photo albums and shoeboxes full of postcards from places I've visited; it's the perfect inexpensive way to remember my travels, and you can always fit a postcard in your luggage, no matter how stuffed your carry-on is! All the postcards pictured above are from my European backpacking trip last summer. I'm hoping to do some type of artsy DIY craft with them to decorate my apartment; does anyone have any ideas? I've considered stringing some twine along around my huge world map above the couch and attaching the postcards with clothespins, but that's the extent of my creativity. I'm open to suggestions! So tell me, what do you collect when you travel? As always, any travel-related posts are welcome; don't feel obligated to follow the suggested prompt. Feel free to grab the button, too! 50 Books From 50 States: Reading Challenge!